I watched your video clip about how you will make your marks and was very impressed by all of your ideas. They were of helping, persevering, caring for the environment and trying to be brave and do your best. I hope I have all of the names from your video and they're spelt correctly. Lane - Helping others is an outstanding way to make your mark. Isaac - Using less electricity helps conserve resources. Peng Peng - Being kind to other adds happiness to the lives of others. Kelly - Trying your best and helping others will help you grow into a wonderful adult. Hilary - Never giving up on something important is a way to make a difference. Kale - Trying hard means you will always put your best effort into things you care about. Hannah - Helping others who are sick or hurt suggests you might want to be a doctor or nurse. Caring for others is very rewarding. Laurie - Being brave enough to try new things means you can face future challenges. Aya - Persevering and helping others needing help means you will make a difference. Noam - Smiling can bring brightness to a dull day and light into the hearts of those who share a smile with you. Claire - Together with Noam, I think you will make the world a happier place. Jenna - Helping others not knowing what to do is important. We should share our skills and knowledge with others. Kennedy - Being kind to people shows them you care and helps them feel good about themselves. Daniel - Being helpful adds to the happiness of others and rewards you with smiles. Ethan - Helping everyone even when it's hard means you will make the world a better place. Catherine - Cheering people up when they're sad is very important. Happiness brings health. Alex - Making the world a better place is always a good goal and recycling is one part of the goal. Sam - Helping your family can start you on a path of helping others. People who help others make a difference. Zyne - What a great idea. I like to try to find ways of using things again. When we do this, we are part of recycling. Cohen - Picking up litter gives us a tidy environment. Helping others gives us smiles. Thinking About Dots, what would be mine? Have I ever been faced with a challenge that I have overcome by PERSEVERING? 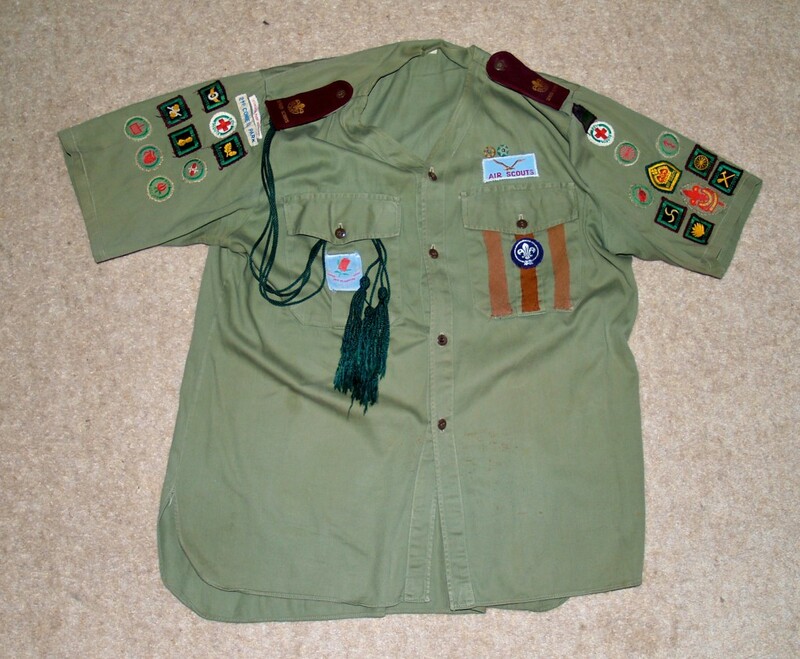 When a boy, I was a Scout. I set myself the task of gaining the highest awards as a Cub (Leaping Wolf badge), Scout (Green Cord) and Senior Scout (Queen's Scout Award). Below is a picture of my Senior Scout shirt I still have. It's now over 40 years old. When I was seven, I set myself the goal of becoming a teacher. By high school, I was collecting things I thought might be useful (including newspaper clippings of the first landing on the Moon). I decided I wanted a science degree even though I wanted to teach primary school. Most primary school teachers back then had diplomas and not degrees and few now have science degrees. My curiosity of the world around me and how it works drove me into science, a curiosity I tried to share with my students. 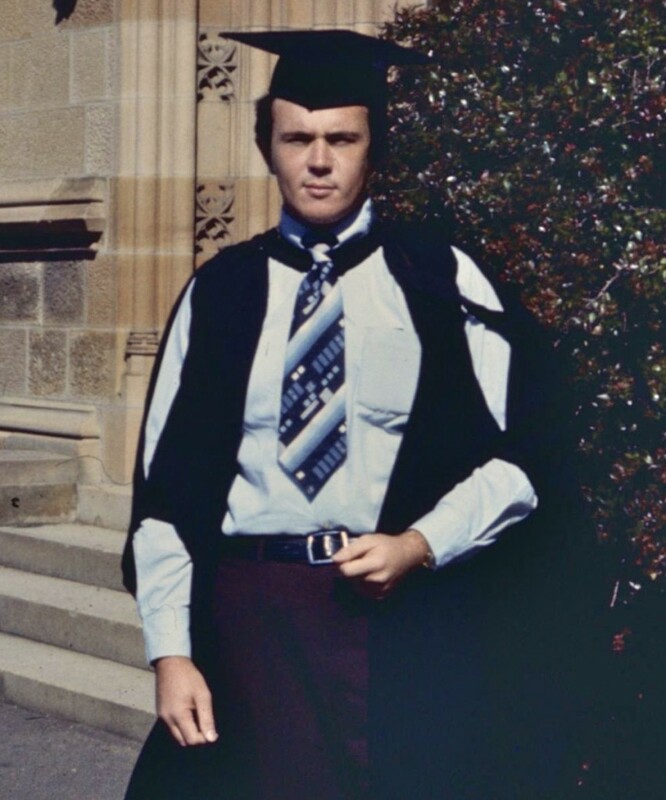 Below is a photo on the day I received my Bachelor of Science degree (I should have worn a suit). When computers came along, I set myself the task of learning how they work and what I could do with them. There weren't any classes to teach you how back then so I had to learn by myself. I started back in 1975 and am still learning about them and what they can do. I have been persevering with computing and technology for around 38 years now and have shared my knowledge with others. 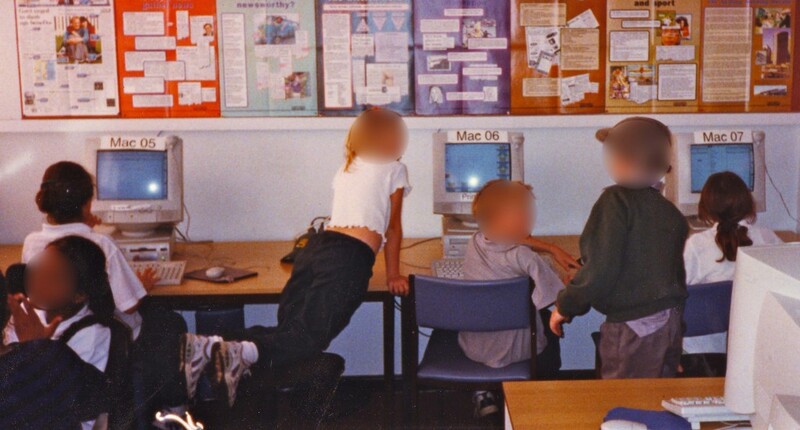 The photo below was taken 15 years ago so the students in the photo are all now adults facing their own challenges. It's the challenges we face in life and how we deal with them that make us the people we are. 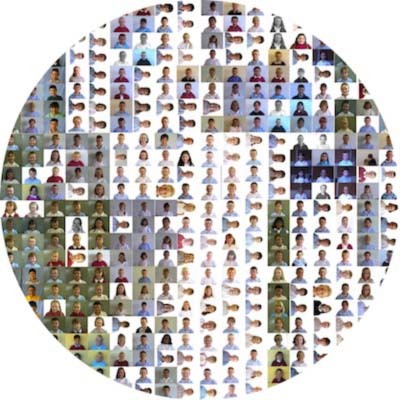 Posted in Education, Family and Friends, One World, One People and tagged Dot Day on September 23, 2013 by rossmannell.